The Shield ECO 500 downlight is a simple light fitting offering all the features required for a domestic installation. 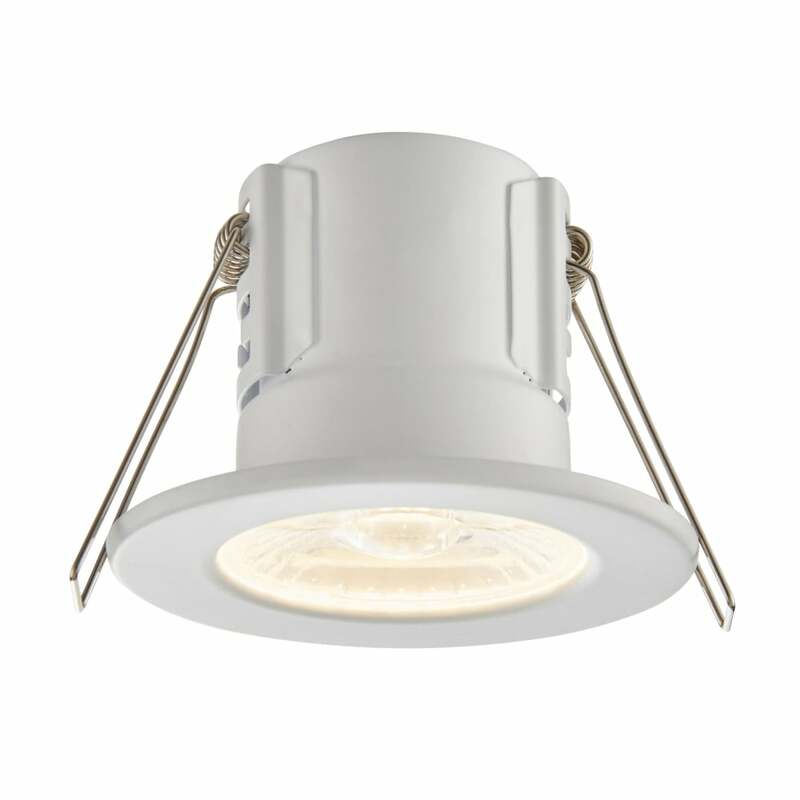 The light has an integrated 4w LED and offers an anti glare 60 degree beam angle in warm white 3000 Kelvin. The fitting is IP65 and Fire Rated constructed of steel and clear acrylic finished in matt white.